Explanation: On Saturn, the rings tell you the season. On Earth, today marks a solstice, the time when the Earth's spin axis tilts directly toward the Sun. On Earth's northern hemisphere, today is the Summer Solstice, the day of maximum daylight. Since Saturn's grand rings orbit along the planet's equator, these rings appear most prominent -- from the direction of the Sun -- when the Saturn's spin axis points toward the Sun. Conversely, when Saturn's spin axis points to the side, an equinox occurs and the edge-on rings are hard to see. 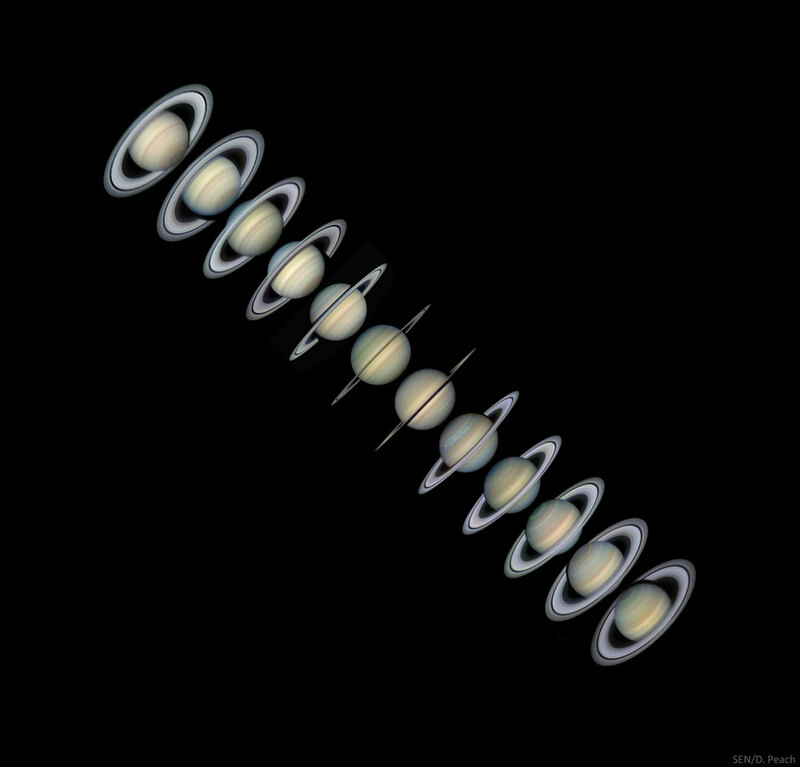 In the featured montage, images of Saturn over the past 11 years have been superposed to show the giant planet passing from southern summer toward northern summer. Although Saturn will only reach its northern summer solstice in 2017 May, the image of Saturn most analogous to today's Earth solstice is the bottommost one.